Do you want to increase likelihood that the drivers you hire are going to stay? Would you like more drivers applying that are the right fit for your organization? 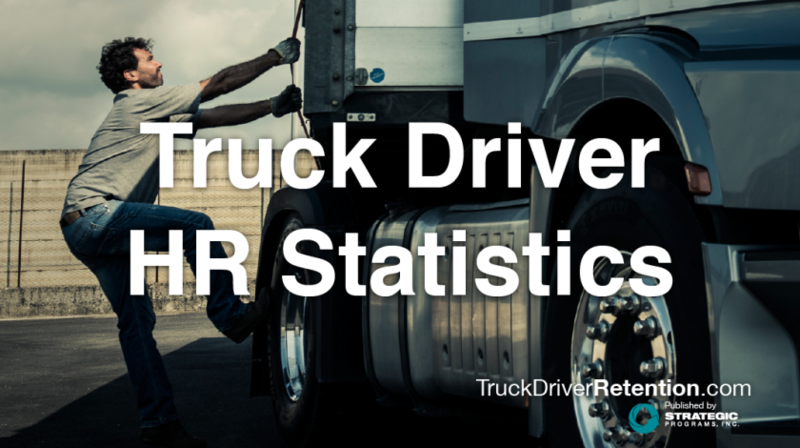 Have you ever wished that you had a more predictable method for determining driver job fit? If you answered “yes” to any of these questions, you might benefit, as we did, from implementing the PDP ProScan into your organization’s hiring process. PDP ProScan is a trait-based assessment that identifies strengths, energy levels, energy drains, motivators, stressors, satisfaction index, communication styles, management styles, logic, and back-up styles. We receive many great resumes from applicants who possess equally good work experiences that aren’t exactly the right fit for our role. Some of these applicants are really good at selling themselves in interviews. Usually, we end up hiring the people whom we feel the best about. However, prior to utilizing PDP ProScan, we couldn’t predict their success in the new position. When we began using the PDP ProScan as part of our hiring process, we finally had a way to scientifically identify key traits and gain insight into how a person works best and performs under stress. For example, the PDP ProScan has been useful in helping us build a successful sales team. The PDP ProScan measures help us to identify applicants who are truly extroverted, not just those who appear to be extroverted. By using the ProScans of successful people in the position, we built a job model for what was needed in the role and could then match applicants to that model. We could also use keyword descriptors from the job model to appeal to the type of candidates that we wanted to hire which increased the number of people that were the right fit for our organization. Within a couple of weeks of revising the job position with the key motivators of our job model, we had more qualified candidates than we did openings. We saved hours of interviewing time by conducting the ProScan early in the process, in order to focus on those candidates whose profiles had the highest match to our job model. Another benefit of the ProScan process is that it protects us from our own natural tendencies. For example, if you have a high extrovert in the selection process, they can easily connect with someone during the interview and, consequently, it can then be difficult to overcome that personal connection in making a decision. Beyond the selection process, our managers utilize PDP ProScan reports to motivate employees to understand how their leadership styles and communication techniques might be impacted by individual styles. We have increased our efficiency in hiring candidates, improved our selection, and decreased our early turnover by hiring to our job model for specific positions in our organization. To learn more about how the PDP ProScan might work for you, contact us at 1-800-800-5476 and ask to speak to a Business Development Consultant, or visit our PDP Global site at http://strategicprogramsinc.pdpglobal.com.